But despite all his powers, our real-life superhero (or supervillain, depending on where you stand) can sometimes be successfully opposed, if not entirely defeated. To do this you must move quickly, know the rules of engagement and have a clear vision of the outcome. Even though you may, in theory, have up to four years to challenge a decision, in practice the time to act may be much shorter. 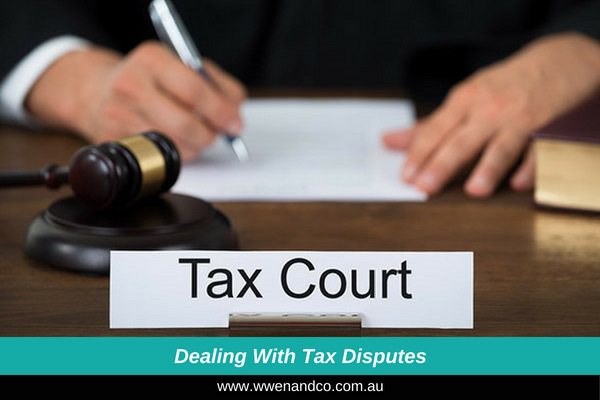 Unless you are willing and able to pay the disputed tax before the issue is resolved (and not many people are willing to do that) you may find the ATO can begin to insist upon payment even while you are contemplating an objection. Balancing the need to act quickly is the necessity of properly considering what is really an issue. This is because the notice of objection and materials that support it must properly deal with the matter in dispute. This may arise where an auditor or other ATO officer simply does not accept your version of events. Often people can get indignant about the resulting amended assessment and will want it rectified as a matter of principle. But, before blindly charging into an objection, consider whether there is any further evidence that can be produced to support your position. Are there any further documents that could prove your case? Are there any independent witnesses that could provide evidence on the matter? Could the existing materials be better explained or presented? If not, you may find that the decision maker to the objection comes to the same conclusion as the original decision maker (a different tax officer to the original one is generally appointed to preside over objections). What are disputes regarding a point of law? If you have been unsuccessful in your objection, all is not lost. An application to the AAT for review of the objection decision is open to you, whether the dispute is factual or regarding a question of law. Such an application may be particularly appropriate if there are large amounts of penalties involved, even where the principal amount of tax is not in dispute. The AAT can sometimes be more reasonable in deciding the appropriate level of penalty or in exercising the discretion to remit penalties. Many taxpayers, and many of us tax practitioners agree that the Commissioner is, in fact, “overpowered”. But successive governments have chosen to accept, and often further entrench, this situation. Debating its merits is no more useful than entering into a Twitter argument over whether the Incredible Hulk could defeat Superman. The best we can do is to keep what small amount of kryptonite we can get and use it very strategically once in a while.